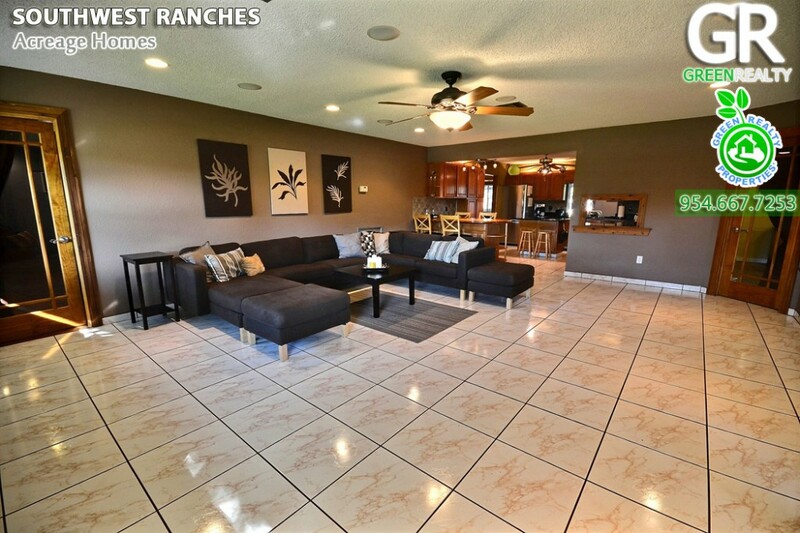 The home is a 3 bedroom 3 full baths and one 1/2 bath. 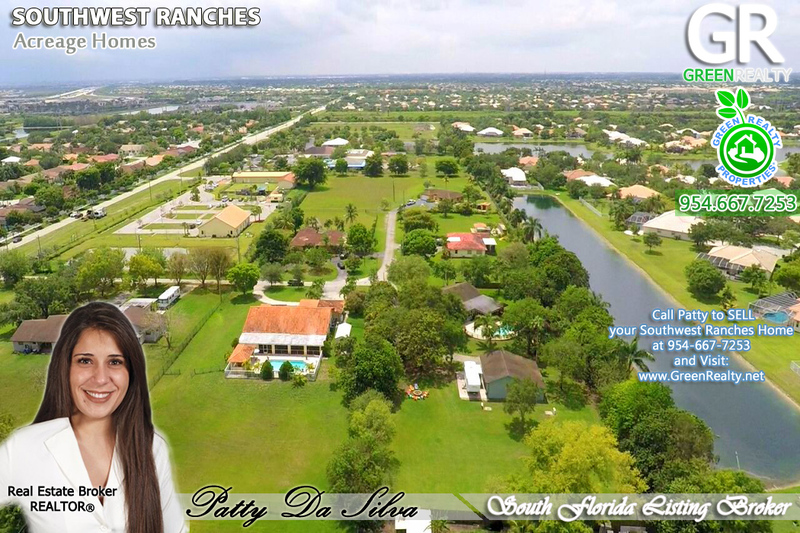 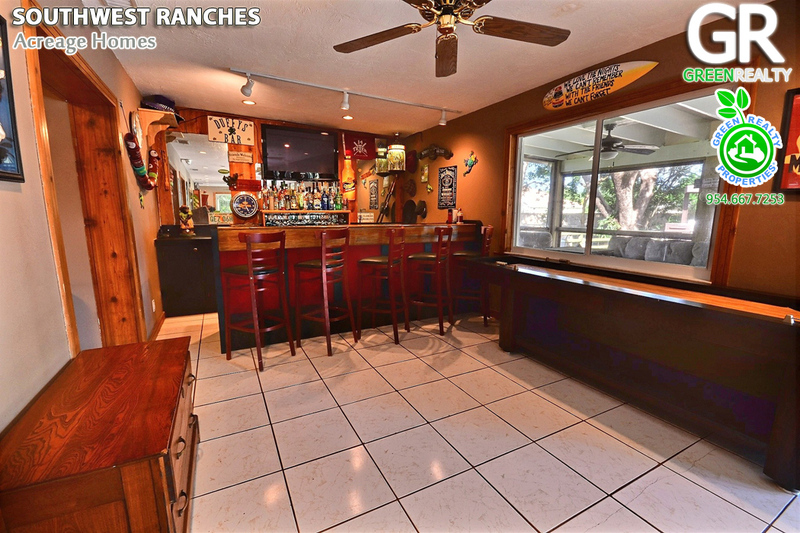 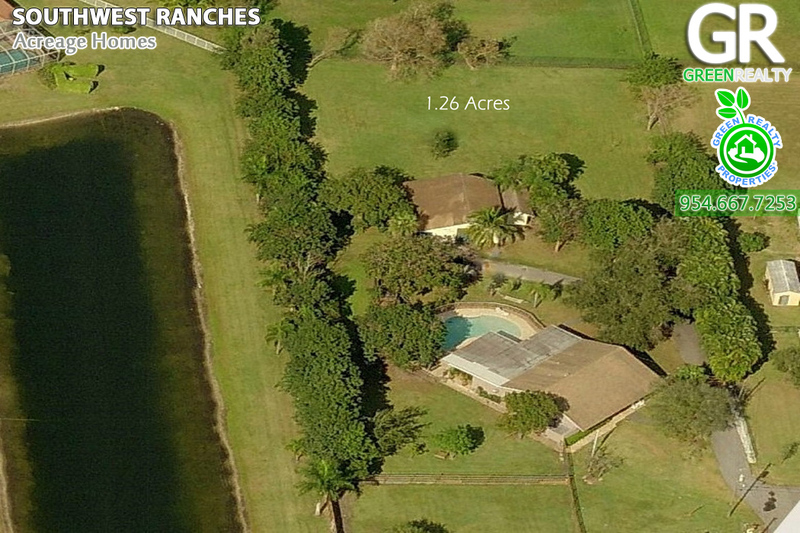 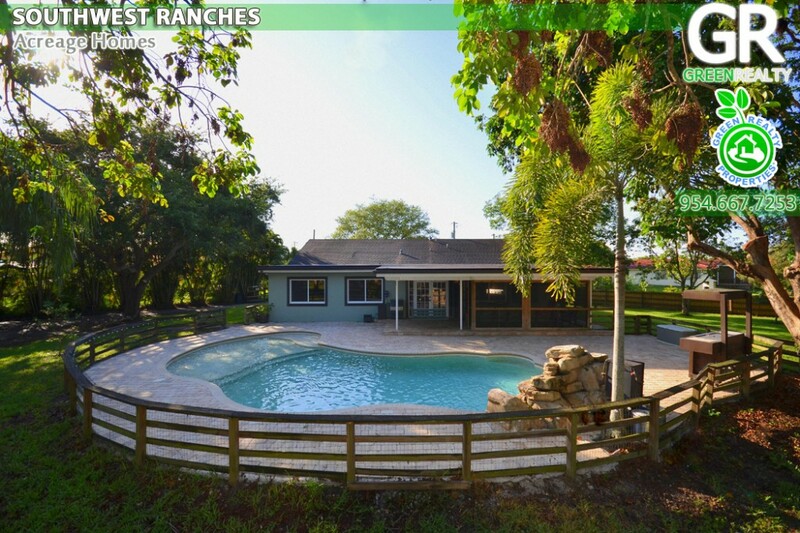 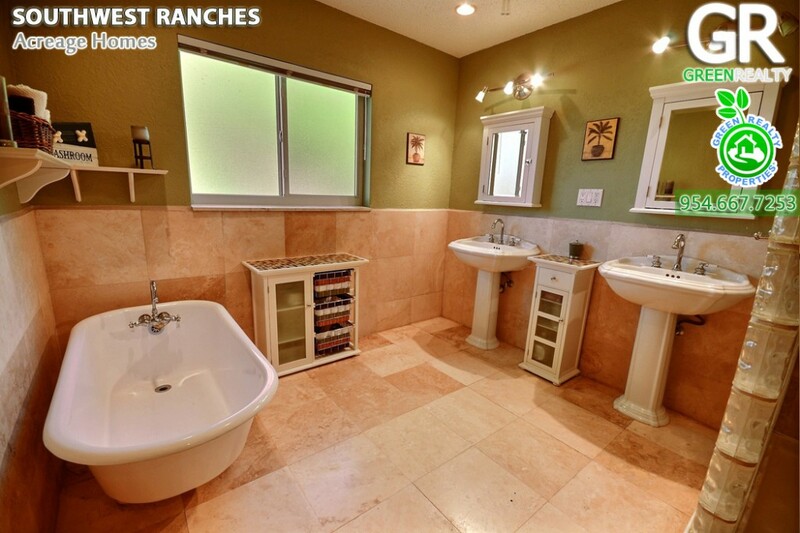 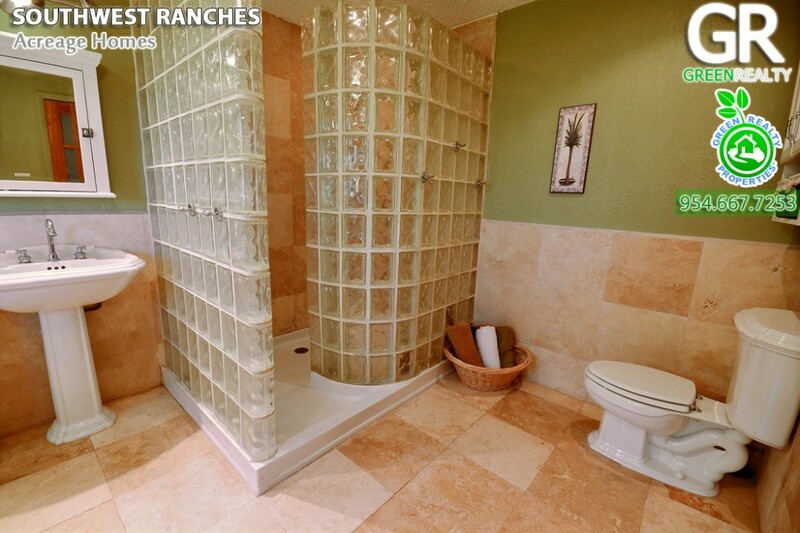 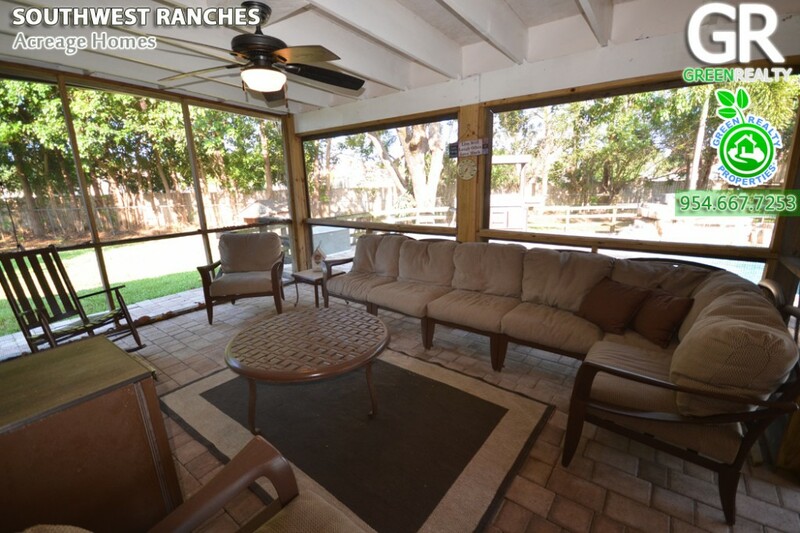 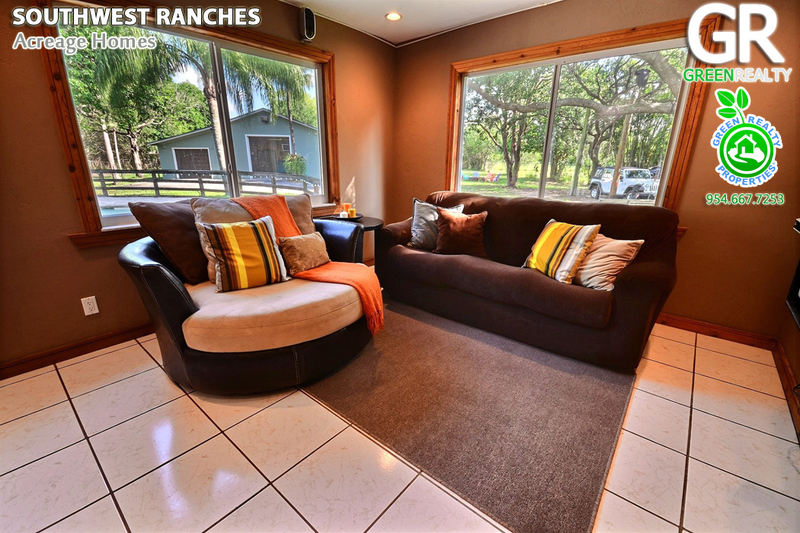 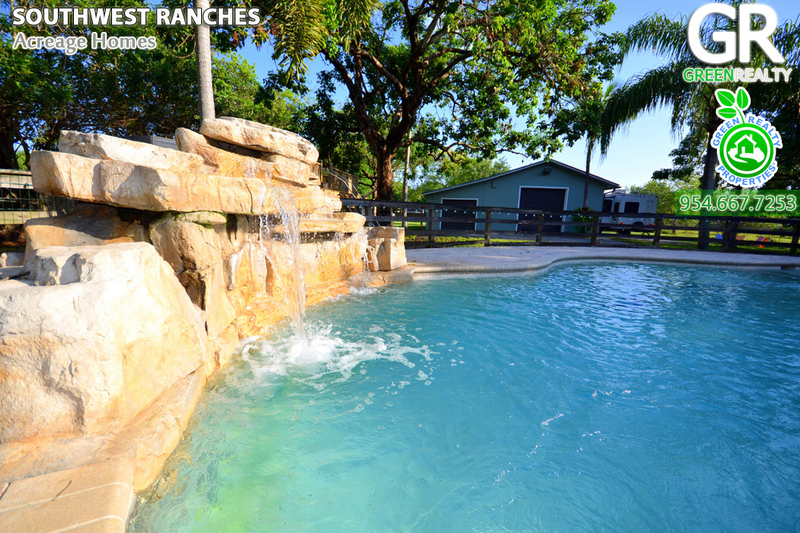 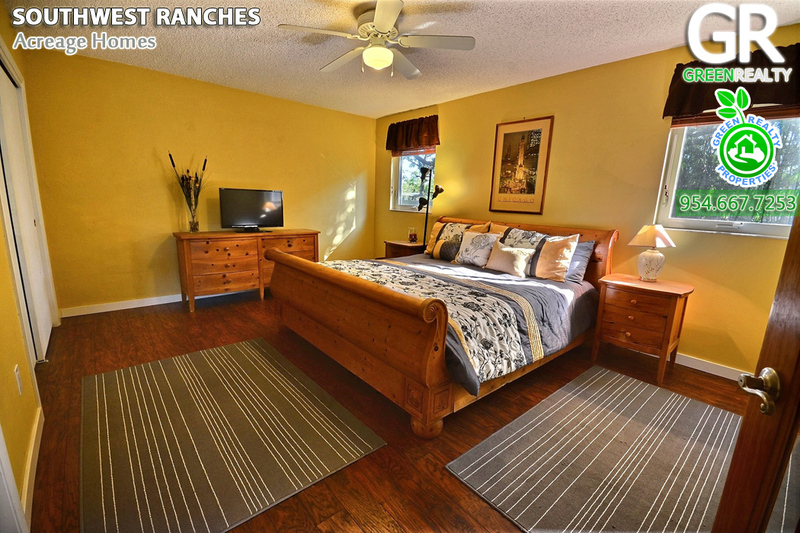 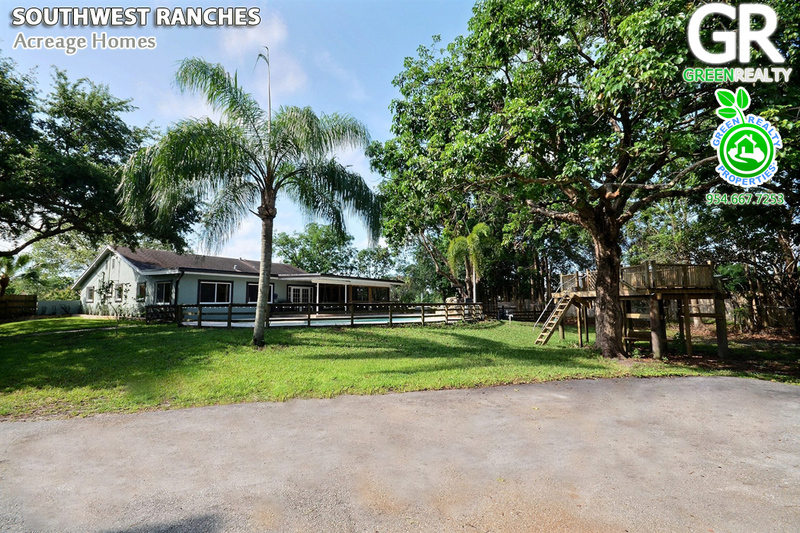 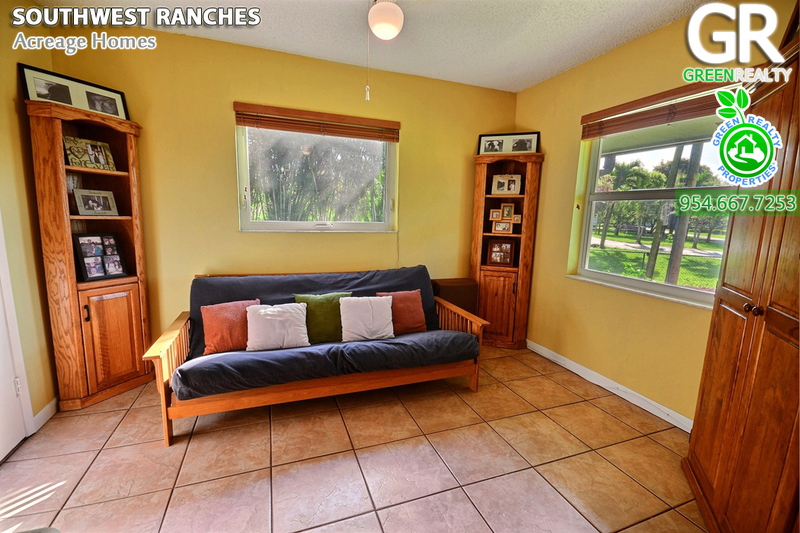 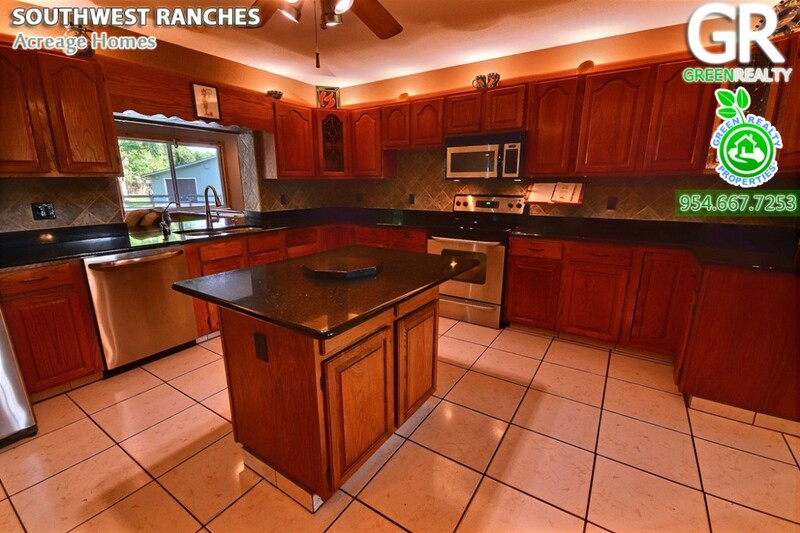 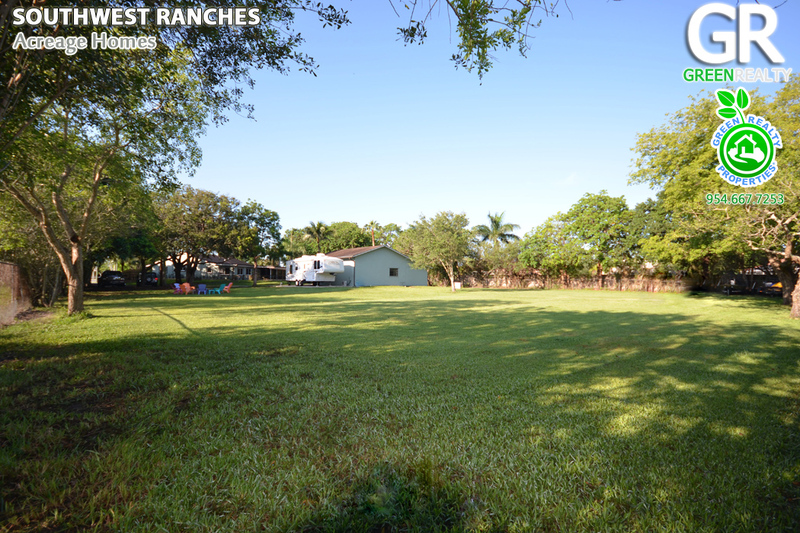 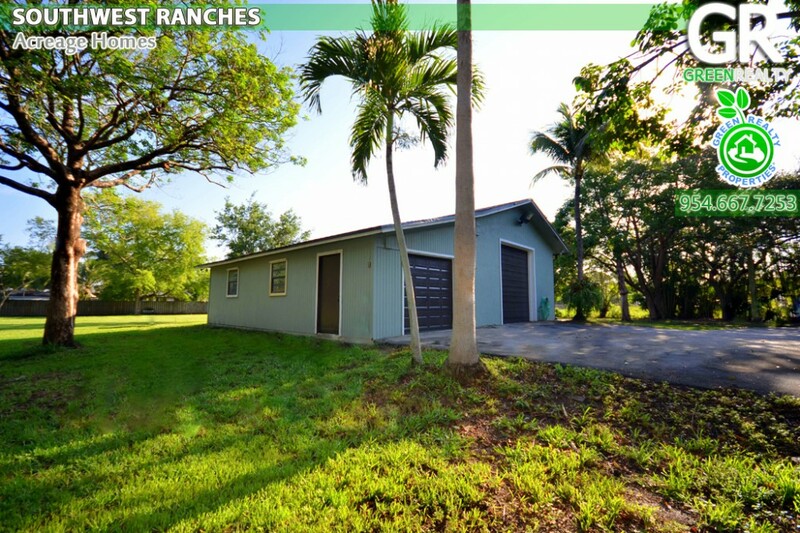 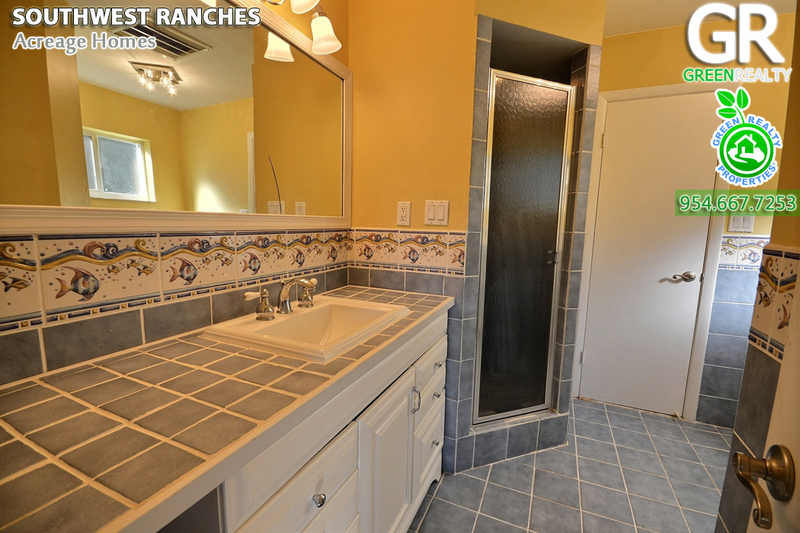 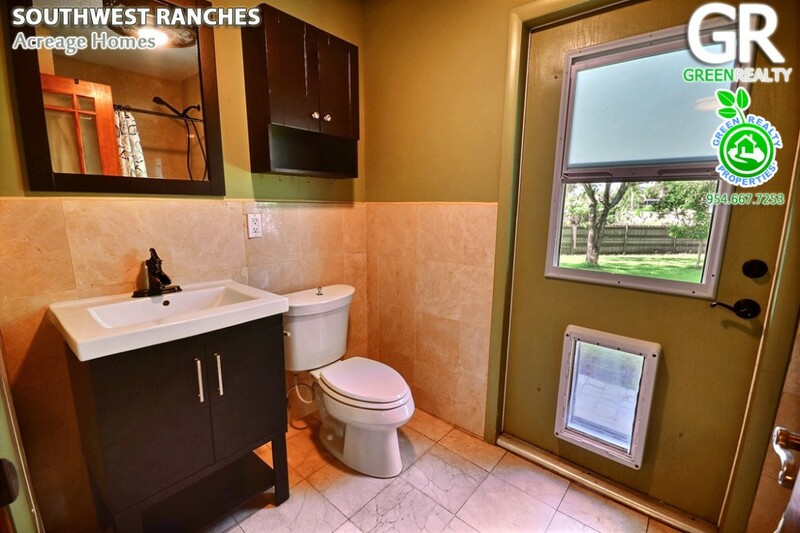 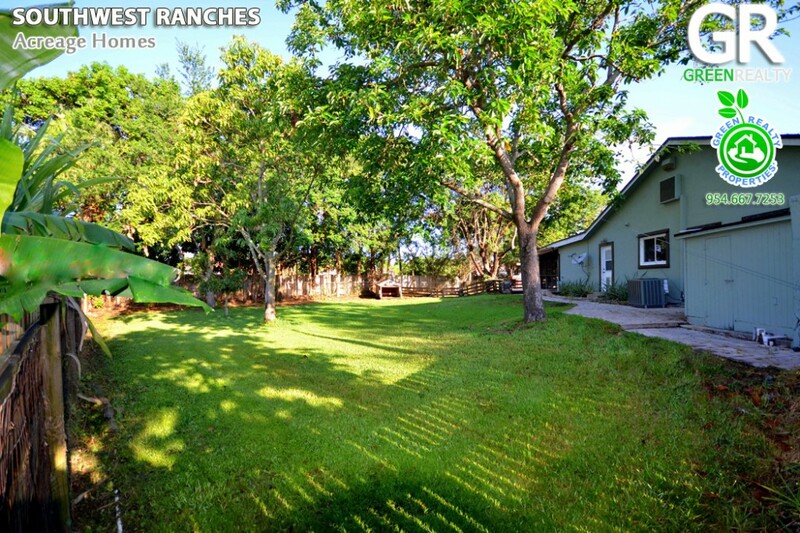 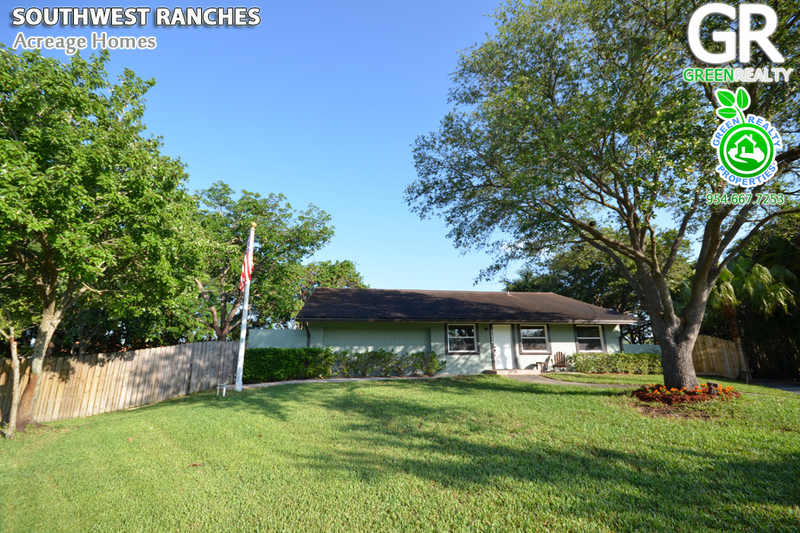 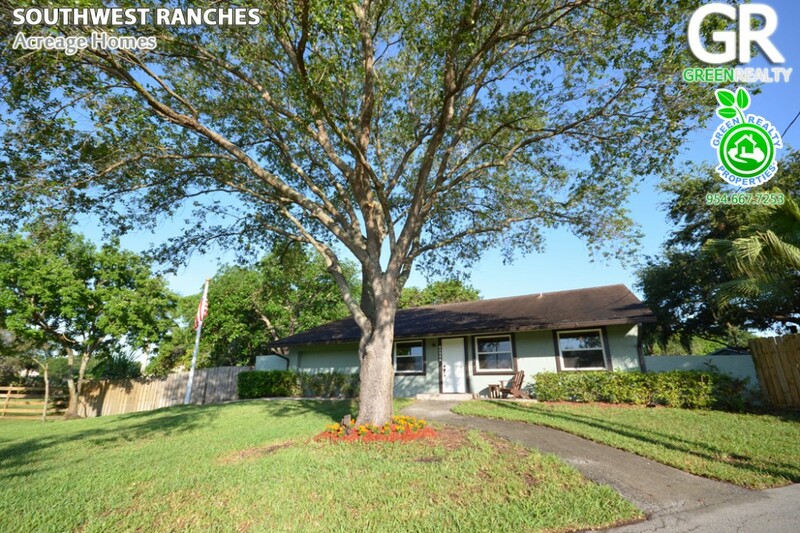 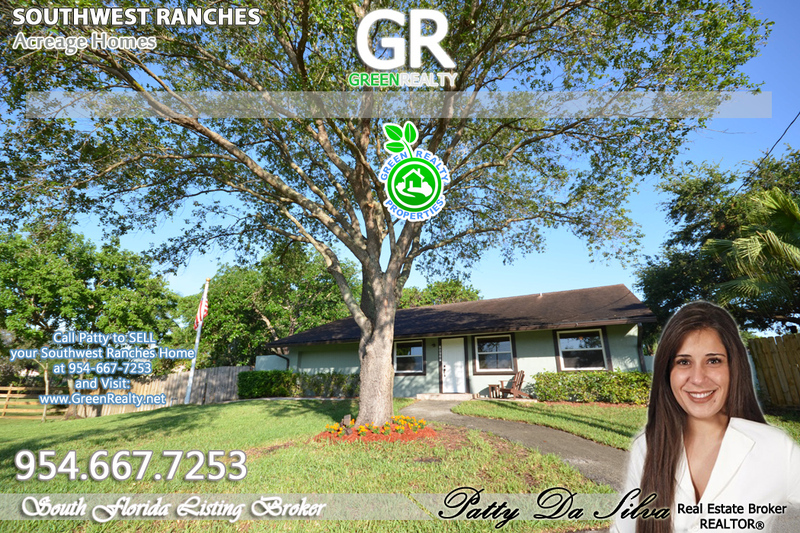 Spacious split floor plan SW Ranches home on 1.26 acres (54,871sq.ft) corner lot at end of street. 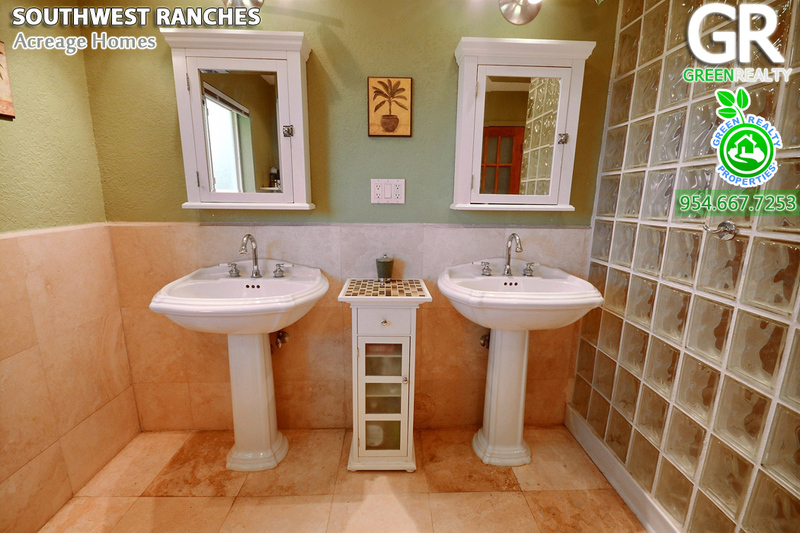 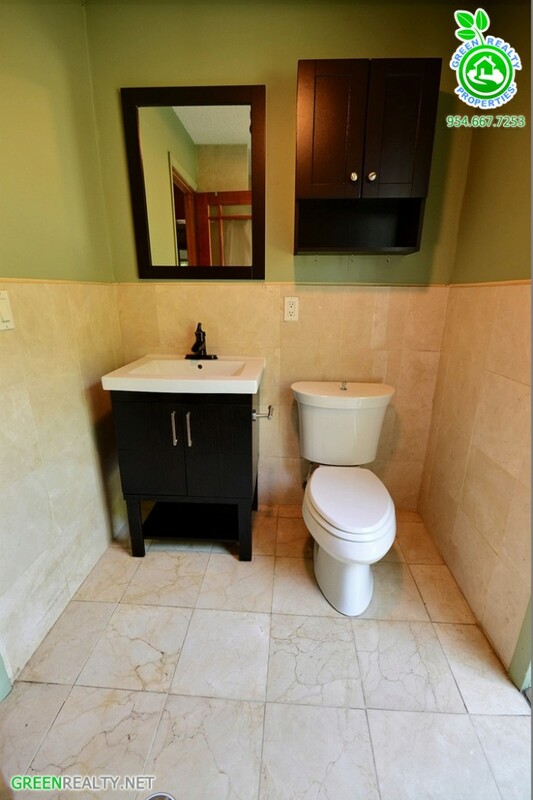 Master suite with master bath appointed with 2 sinks, separate tub & shower. 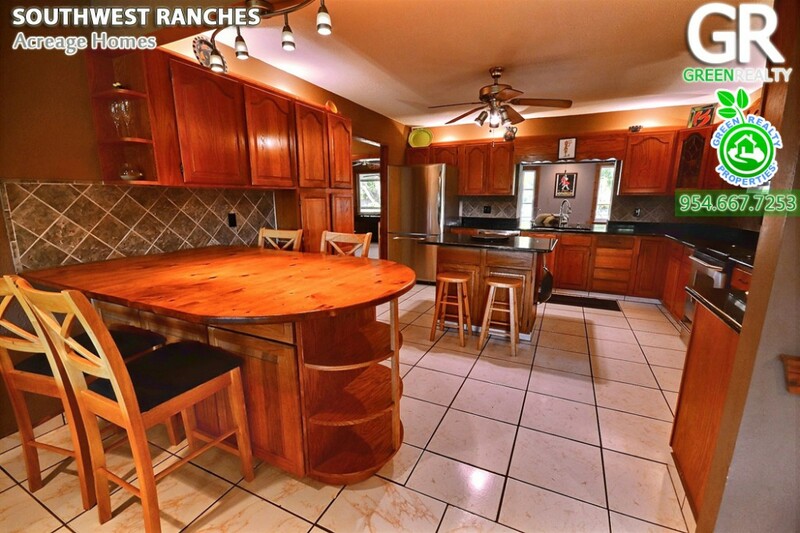 Spacious living room, large kitchen, center island, granite tops & breakfast area. 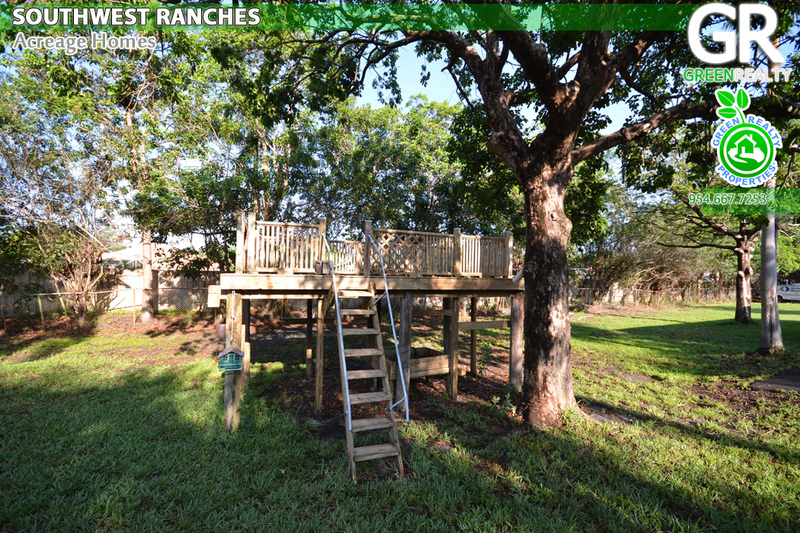 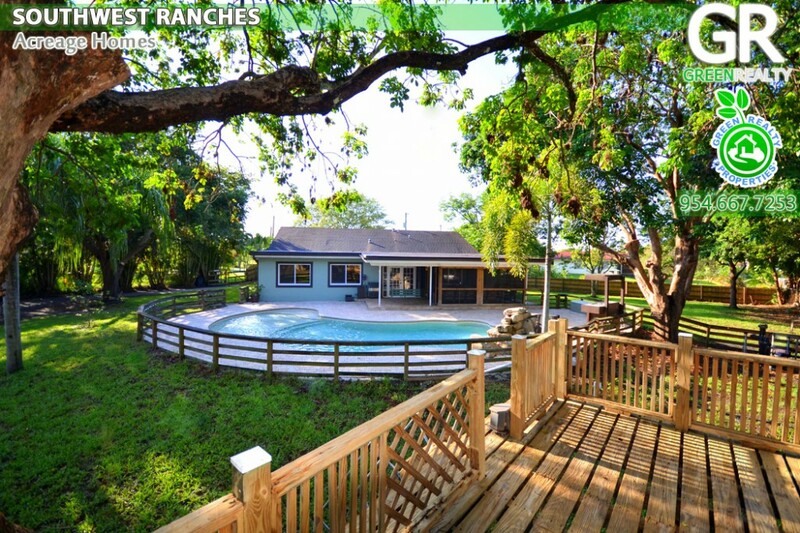 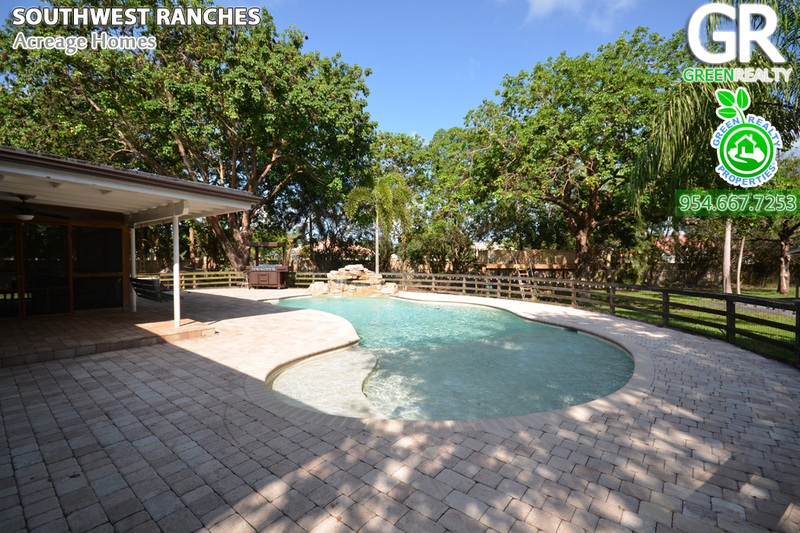 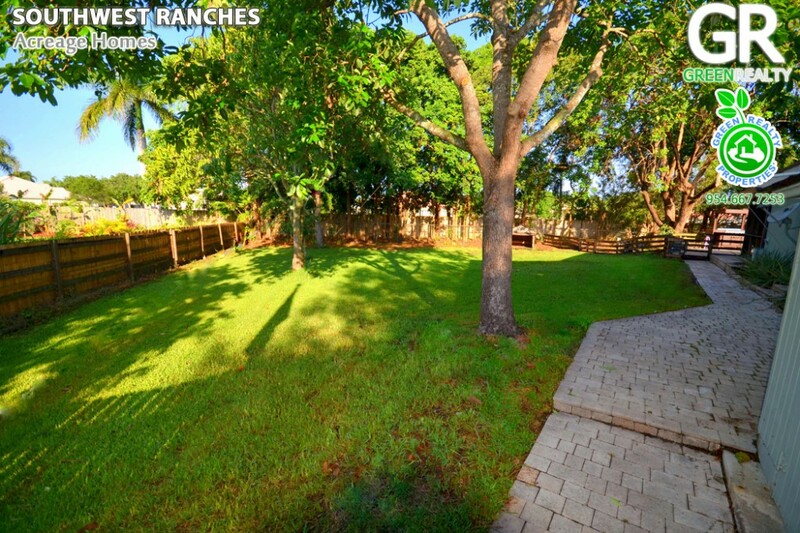 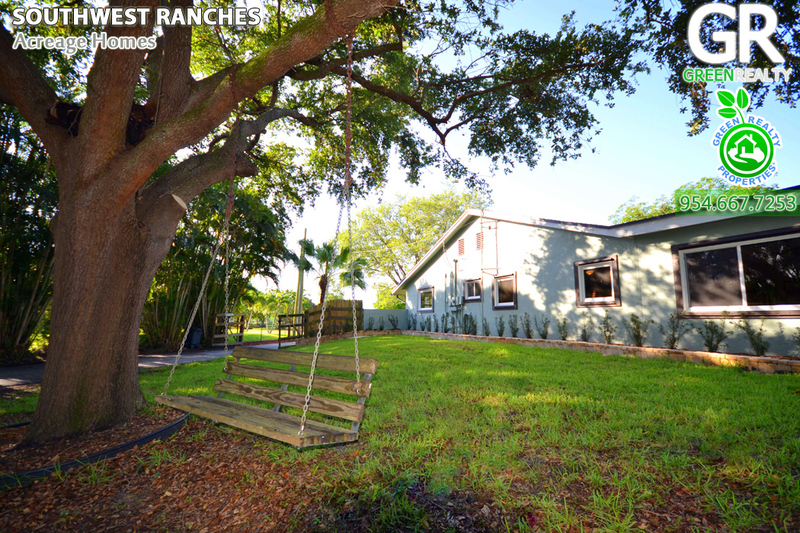 Florida room & outside living perfect for entertaining complete with brilliant pool, covered patio, bbq area & inviting tree house. 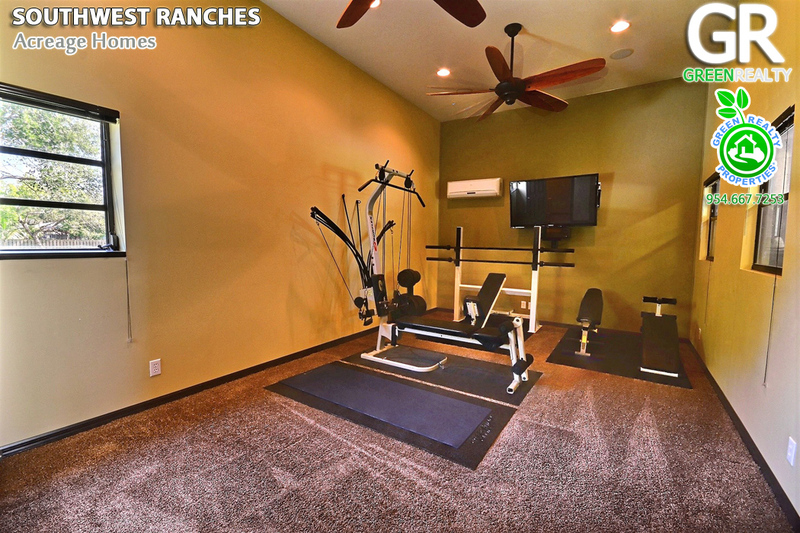 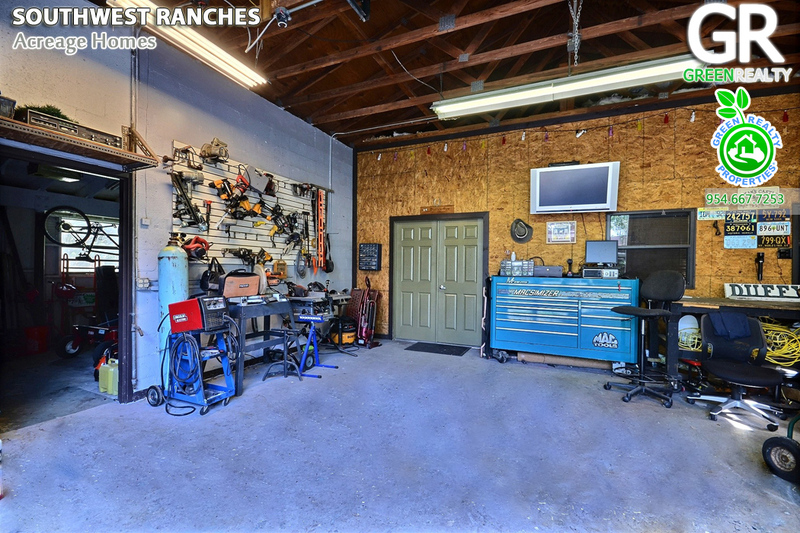 Truly amazing 1400+ sq ft stand alone garage fits 4 cars plus a gym/man cave/play room w its own ac unit & 1/2 bath. 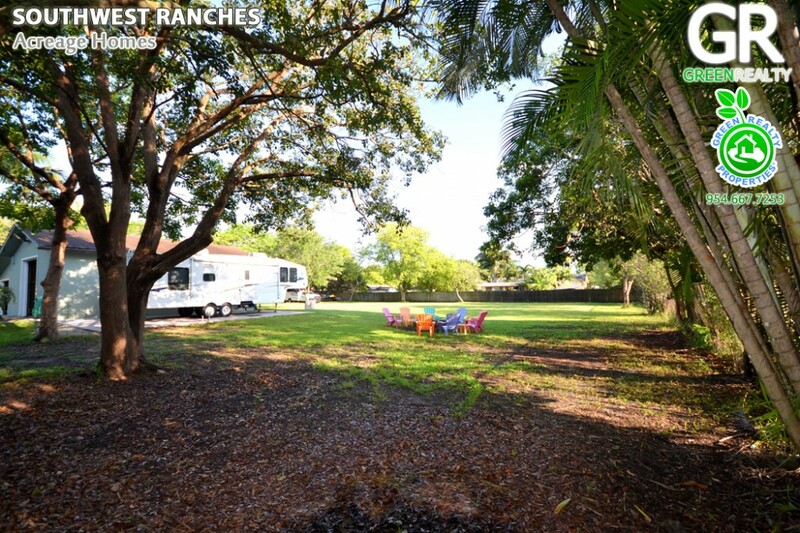 Set up for RV parking.